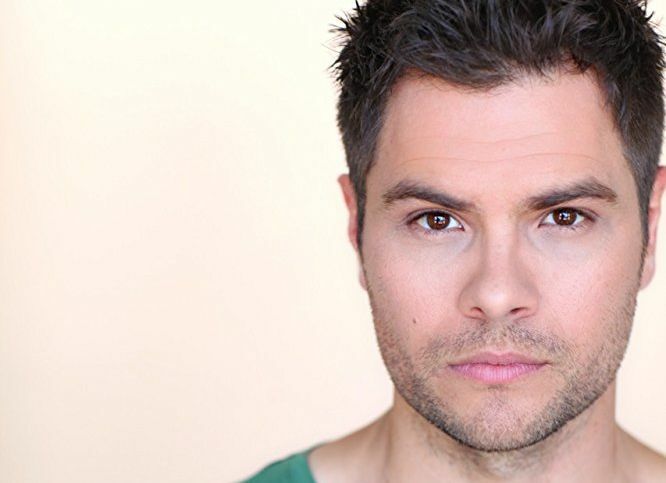 EXCLUSIVE: GH Alum Erik Valdez Talks Acting, If He Would Play Y&R's Kyle Abbott and Much More! Erik Valdez is probably best known for his role as Trey Mitchell on 'General Hospital', a role he played from June 11, 2012, until January 14, 2013, when his character was taken off life support at the hospital. Trey was the son of Connie Falconeri (ex-Kelly Sullivan) and Joe Scully Jr. (ex-Richard Steinmetz) and was romantically paired with Kristina Corinthos (then played by Lindsey Morgan). Since leaving 'GH', Mitchell went on to playing the role of another mob boss' son, Carlito Solano Jr. on "Graceland" and has since appeared in the 2016 film "Paint It Black" and guest-starred on "Mistresses". Soap Opera News caught with this talented actor for an exclusive chat in which he dished on his soap opera days, if he would consider a return to soaps, if he would play Kyle Abbott on 'The Young and the Restless' and much more. Valdez shared how much he missed daytime, "I sure do miss my daytime TV fam; cast crew, and fans alike!" but further went to share that they are no plans for a return right now, "No plans of going back at the moment, but I’m always open to the right opportunity," said Valdez. Reflecting on his days as GH's Trey, he highlights "Thanks" after being commended for his outstanding work on the ABC daytime drama adding "You know, I was just talking with someone about this. I still get stopped here and there by fans of the show (ya’ll are the best! ), which happened the other day at breakfast. We got to chatting about GH and reminiscing on the wonderful time I had there. Not many people get the chance to make a living as an actor, and even fewer get to be part of such an iconic show. It’s amazing thing to be able to say I was a part of American television history. No matter where I go in the world, everyone knows General Hospital. It'll be a great story I tell my kids one day!" We asked Valdez if he would return to soaps and most importantly his thoughts on playing a recast version of Kyle Abbott on 'Y&R'. "Ha. I’m honored that y’all would think of me," he shared as he went on to say "To be honest, I haven’t watched much daytime TV lately as there’s just not enough hours in the day, so I’m not super familiar with Kyle Abbott, or the storyline on Y&R. As I mentioned, I’m always open to opportunities that make sense career wise." And, what's on the horizon for such a talented man who has not only played on Daytime TV but primetime and in films as well. He shared, "Yeah, GH served as a bit of a launching pad for me and primetime TV has been fun! That said, TV as we know it is changing and there are so many other opportunities out there, the digital space being a big one. My focus is not so much on primetime TV, films, or any specific platform, but rather on the right project creatively, regardless of where it finds it’s home." Valdez also shared how he would love to have a permanent acting gig, "That’s always the goal! What people may not realize is that we, as actors, are constantly at the mercy of so many other people (producers, networks, execs, etc). What we sometimes feel is the right fit, doesn’t make sense in the grand scheme of things, so we move on. That said, there are a few irons in the fire for 2018!" And, to close off the interview, Valdez shared what fans can expect from him outside of acting. "Acting will always hold first position for me. That said, now more than ever, you have to be multi-faceted. I started producing a couple of years ago, and have devoted much of 2017 to developing content and establishing the right partnerships. You may see me on screen on a couple of these projects, while on several others, it’s all behind the scenes. I’ve really fallen in love with the creative process as a whole! Outside of that, I’ve been racing cars when I can, spending as much time with my dog as possible, and working on family life. I look forward to sharing more of that with y’all down the road!" So, daytime fans would you want to see Valdez return to 'GH' or take on the role of Kyle on 'Y&R'? What shows are you hoping he pops up on in the future? Soap Opera News: EXCLUSIVE: GH Alum Erik Valdez Talks Acting, If He Would Play Y&R's Kyle Abbott and Much More!